I love the holidays, especially because of the lights and decorations around the neighborhood. 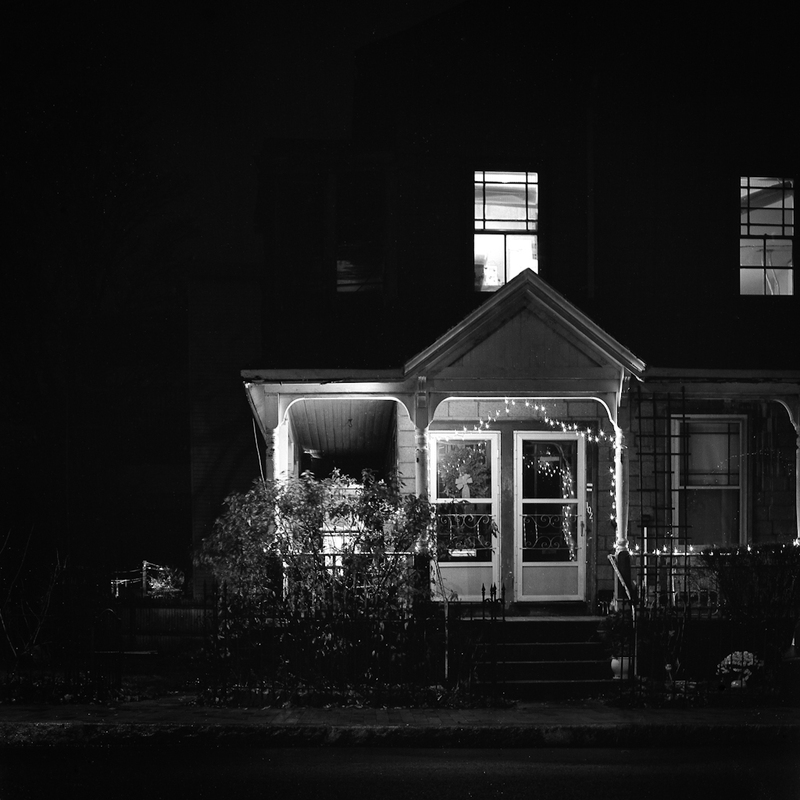 I had this idea of documenting a little bit of what the lights look like in Cambridge. But I have to say that the experience was quite intimidating. Night photography as such can be quite challenging in the sense that you never know who’s going to walk up to you and ask questions or give you hard time. But this time I was openly photographing people’s homes, trying not to walk too close but still get the shot. That really was all I was interested in – the lights on the exterior of the building – and I’m glad I ventured out. Two conclusions – first, my neighborhood homes are very modest in decorations, and second, there are so many cars parked on the streets that getting a shot without them is a miracle in itself.